Dr Michael Shams (Dentist) has been the principal dentist at Anchorage Dental Care since 2011; serving Mindarie, Clarkson, Butler, Quinns Rocks, Iluka, Joondalup and neighbouring communities. 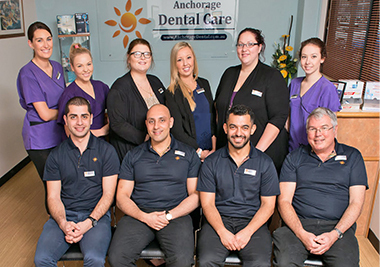 At Anchorage Dental Care, our experienced staff is standing by, ready to help you attain the oral health you desire. Our practice provides care for all ages, from children with their first teeth to seniors in need of dental work and everywhere in between. We will meet both your dental and cosmetic needs. Dr Mike’s experience with even the most complicated of dental cases ensures that no matter what your concerns, we’re able to address them. Our gentle care is suitable for anyone, even those who may feel anxiety about dental care. Dr Mike’s skill set ensures his wide spectrum of services are given in a manner that will put you at ease so you can feel comfortable through your appointment with us. We wish for you to maintain a state of oral health that you’re happy with, both cosmetically and functionally. At our practice, your happiness, your smile and not worrying about future dental issues is what’s important to us. We’re here for you, and when you’re in need of care, Dr Mike and his knowledgeable staff are capable of providing it. Call to schedule an appointment on (08) 9407 7888 or use our online request form today.